I beat Second Son. The game does give you some awesome abilities such as video (lets you summon demons and glide), neon (exhilarating speed with a gorgeous effect), and the cencrete power was fun for a bit. However, Delsin and his brother are the 2 stupidest characters I've seen. Fetch is a likable character though, and I didn't mind Eugene. Now I'm working towards the plat, and many of the requirements have a criteria that borders into being annoying, rather than a good kind of challenge. Especially since if you save your progress on the tallest building incase you mess up the trophies for staying in the air 45 seconds and comet drop 170 meters, you will not respawn on that building, but somewher else, which means you need to do a few minutes of work to get to the top of the building, since it's surrounded by electrical currents hence you can't just sprint along the side of the building. The trophy for using 3 powers to kill an enemy was a pain to get in post story mode since there's not much enemies around and it's always difficult to find a video power recharge, and same goes for the 2 air vent one. Still need to do another playthrough on the expert difficulty and need to get good karma, as well as obtaining all the blast shards and doing a whole bunch of side missions. I wouldn't mind it so much if I wasn't eager to move onto Final Fantasy Type 0. If I played this game when it was released early during the PS4's life cycle then the plat requirements wouldn't feel so tedious. I'm so glad you are having such a good time playing these games. Gaming is, I believe, good for the soul. I know I feel different, better, after a session with a good game. I feel I'm a better person. Those who play games know why they do. To discover worlds, to challenge our fingers, and our minds. To connect with friends, or maybe just to escape. Games are about possibilities, the paths we take as well as the ones we don't. I know what you mean, video games allow us to go on adventures in the past, or far into the future or even allow us to go into space. Video game characters teach us about bravery,compassion,sacrifice, pure evil but also sometimes there's no black and white. Some of my favorite video game experiences are spiritual ones such as Journey and Flower, that use abstract style storytelling, and make you try to wonder and think about existance on a deeper level. I picked up Street Fighter 5 for cheap. I've been a fan of SF since the early 90s, but I must say SF5 isn't as fun as what I'd hoped. The arcade mode feels a bit broken, because on default difficulty, the CPU AI is really dumb, but if I raise the difficulty level, the AI just strings together long cheap combos, similar to a Killer Instinct game. I guess I shouldn't be surprised, since Capcom and Dimps put SF5 together piece by piece, which is why it didn't even originally have an arcade mode. The story mode feels rushed, because the character stories are short, and leave out important history of the characters. For example, Vega actually has a very dark and disturbing backstory, about how his mother married men for their wealth, and one of those men killed Vega's mother, hence Vega killed that man, became psychotic and developed a split personality where he would be a businessmen by day and an assassin at night, and begun to despise anything he considers ugly. However, he story mode for SF5 skips much of this, and makes his story begin way after these important and traumatic events,and doesn't even show them. The mechanics are fast and fluid, the problem is with the CPU AI, and the game has some long loading times. Basically it feels like Street Fighter 4 meets Killer Instinct. Finally begun FF Type 0. It's story presentation has been amazing so far, it goes for a darker and more serious tone, hence you will see lots of blood (yes blood, in an FF game), and some dark and emotional scenes in a war torn world. As for it's gameplay, well you can definitely see it was made to be a portable game, it's battle system is simplistic and has automated healing, it feels part like a shooter/action game. The music has been beautiful and emotional. It sounds wonderful. A world, different from our own, full of drama and intrigue. What I love about Yakuza games is they don't beat around the bush. They show things such as prostitution, and show a male's perspective of how we view women, such as how the camera will often focus on a woman's body and breasts and move it's way up to her face. Anyways, a woman wearing a revealing, low-cut dress asked Kazuma to come with her for a drink, and the camera focused much on her breasts, as if it's trying to let you know what Kazuma would be thinking in that situation, and after some sexual flirting by her and a few drinks, Kazuma wakes up hung over, and with 1 million yen missing! So me/Kazuma got conned by this woman, but this happens in real life and can be a life lesson, but SJWs will think of some way to make a negative spin about this. This is the woman who conned me. So, I'm a couple of hours into Soma, and so far it's been interesting, but frustrating as well. Basically, it's a Sci Fi horror. I'm not a big fan of first person perspective, it makes me dizzy, and the gameplay revolves mainly on solving puzzles (which gets tedious), but the disturbing things happening in the environment and the plot twists have made it worth it so far. 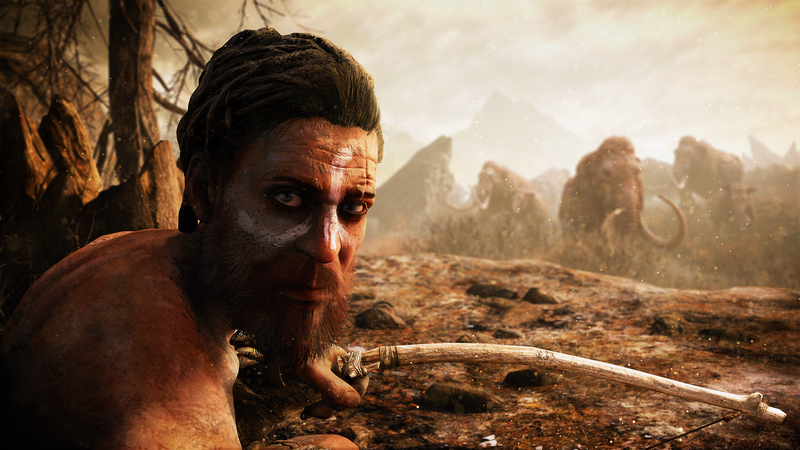 Primal has been as addictive as expected. I like to explore it's open world, take over territory of other tribes and increase the numbers of my own tribe. I like the survival aspect, you need to collect resources to build weapons and to upgrade your village( which will increase the population of your tribe who will assist you in battle). Taming animals and using them in battle is fun, and I do feel a bond I created with my wolf companion, when I saw him getting attacked, it made me feel worried. If I wasn't trying to obtain the plat, I would give the survival mode a go, because it gives you limited stamina, making you need to be efficient with hunting. Takkar platinum Primal. Story of Takkar finish. 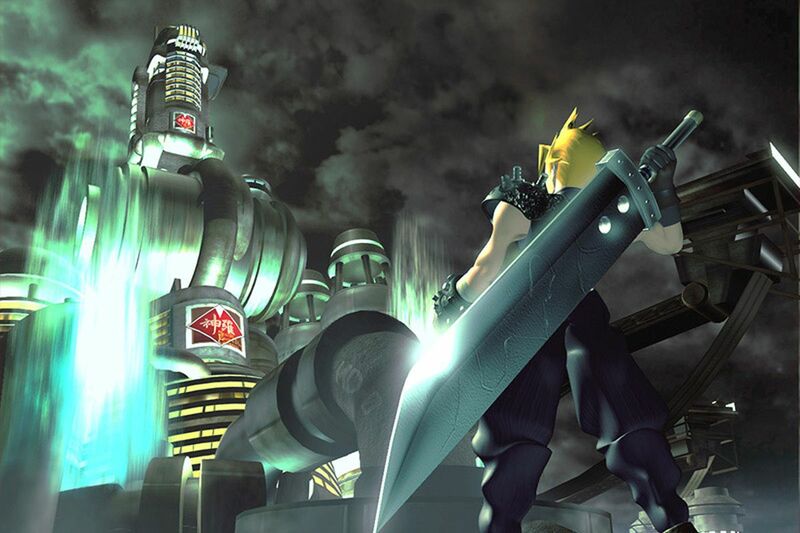 New story is return to Midgar and see Cloud and his friends save Gaia. It's been an enjoyable experience, returning to FFVII once again. The graphics on the PS4 version look a lot cleaner and more polished. I was expecting my eyes to hurt once I saw the dated, fuzzy visuals , but the polished and brighter visuals are actually nice to look at, they provide nice textures and make Midgar's atmosphere even more surreal. The story's presentation is timeless IMO, right from the beginning , the story feels epic , with the party blowing up reactors, travelling across a city by train, and traversing the slums of a polluted city whilst trying to avoid Shinra authorities , and this is before Sephiroth shows up and turns the story on it's head, and being able to explore the charming towns, seaside resorts and other nice locations makes it an unforgettable experience. The game has been modified, so it has a God Mode, which gives your party members unlimited limit breaks and restores their health every turn, but you can turn this on or off whenever you want, same goes for being able to turn off random encounters, and speeding up the gameplay X3 , so if you want to reexperience the story and don't have much free time to level grind, you can just race through the game and experience the story once again. I'm trying to earn the FF7 plat, and I've earned 3 of the 4 missable trophies , which are making Don choose Cloud over Aerith and Tifa , Aerith's final limit break, and making Cloud and Barret go on a date. It was nice to see Aerith's limit breaks, some nice and peaceful music and effects , as well as giving the character some big buffs. Most people have never earned her limit break because she dies so early in the game. The date between Cloud and Barret is like a joke, it's not the Japanese trying to be SJWs or anything (heck, the game was released in 1997 before political correctness became so strong),during the 'date' , Barret tells Cloud he needs to choose either Aerith or Tifa, but Cloud talks about Marlene (Barret's adopted daughter) and Barret says he won't let a sicko like Cloud near his daughter. The final missable trophy left is obtaining the Bahamut Materia in the Temple Of The Ancients. There is another trophy which technically isn't missable, but if you fail any 4 huge materia side quests, you have only a 5% chance of digging it up in Bone Village. Either way, I'm loving replaying through this game once again, the characters and world design are as likable as ever. Platinumed Final Fantasy VII and Valkyria Chronicles, and a bunch of other games too. IMO, FF7 and Valkyria Chronicles both hold up as some of the best RPGs ever made, for different reasons. I enjoyed playing through (and platinuming) Full Throttle, which is like Mad Max meets Biker culture setting. It was a very entertaining story , and very atmospheric , despite being short. I can recommend it for people who don't even like motorcycles.